The Knijpkat. 2019 marks 80 years ago that the dynamo torch from Philips Netherlands was developed. 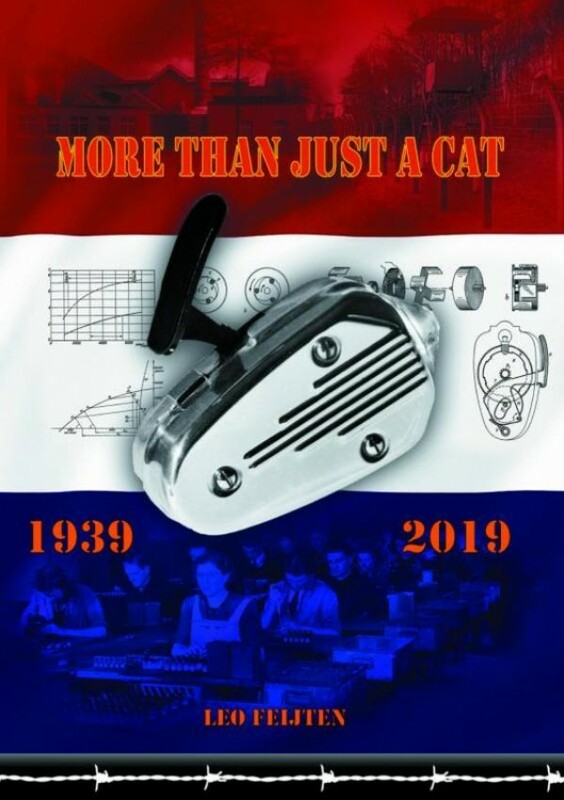 In this booklet you will find the bizarre history of this Knijpkat, its production, technical development, use and variations. Despite its 80 years of age most of these cats are still purring! Within these pages can be found comprehensive information of most malfunctions. If nothing else-the cat can be overhauled. Chances are your refridgerator will probably not live as long as the cat. Much research was needed to find information about the cat. In the archives of Philips Eindhoven Nederland some documents have been found and included in this booklet. Also an article from 1946 of the Philips Technical Magazine is included. Most of the original documentation at the factory was lost during the allied bombing raids in 1942. In this booklet you will hear some first hand stories about its use, documentation and humorous anecdotes. During the war the 7424 and 7424-03 cat was used by the German Wehrmacht. Also the Bi-Jou ladies cat is mentioned.